It’s been awhile since this session - back in the summer! 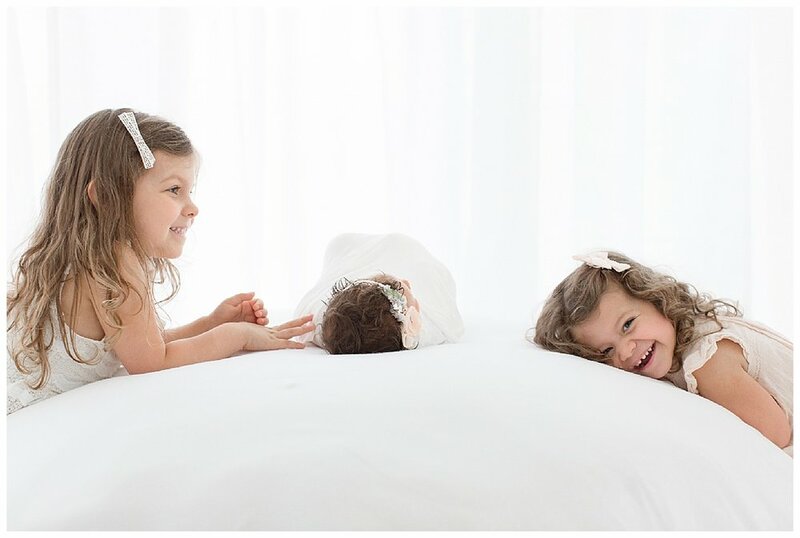 - but I loved this sweet newborn session with baby Charlotte and her two big sisters. They were so gentle and sweet with her, and I can’t get enough of that hair - or those rolls. As a main line newborn photographer, one of my favorite things to capture during newborn sessions is a family interacting with a new baby. 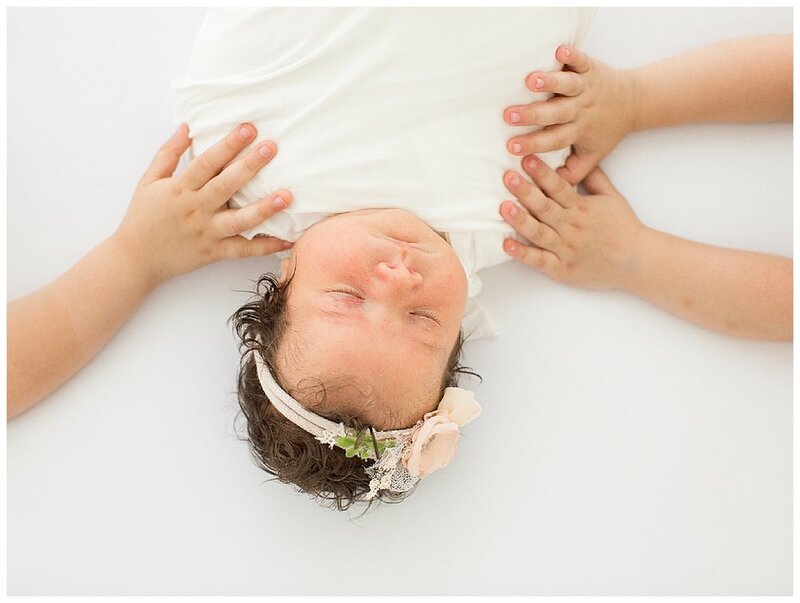 Veronika Paluch is a Main Line Pennsylvania & Philadelphia area fine art photographer who loves maternity photography, newborn photography, newborn lifestyle sessions, baby photography, child photography, family sessions, and family photography. She's frequently at her natural light studio and on the Main Line, but also shoots on location in Wayne, Devon, Berwyn, Ardmore, Malvern, Paoli, Philadelphia, Montgomeryville, Delaware, Bryn Mawr, Radnor, and Villanova.